Taking a China vacation is one of the most sought after destinations in the world full of amazing sights and experiences. China is a splendid country that has always been able to combine utter respect for its unique past with high paced modernization. One of the oldest nations in the world, China has left a huge imprint in the history of inventions. The world owes China 4 Great Inventions, including gun powder, paper, printing technology and a compass mechanism. And the list goes on: Chinese scholars introduced zodiac signs knowledge, methods of Chinese medicine healing such as acupuncture and also established a calendar year to last 365 days. That does not exhaust the list of this great country’s inventions that we use every day of our lives. The Land where the Great Wall spans over 5000 miles from east to west, home to Yangtze River (the longest river in Asia), where the mysterious culture of Tibet is tucked away amidst the wilderness of the Himalayan Mountains and where Panda bears roam the forests of Chengdu in Central China, the country keeps on uncovering a multitude of its wonders. Did we even mention its food? Truthfully, authentic Chinese food has little to do with your local Asian take out menu. Feast on seafood dishes generously spiced with local flavors, try the extensive dim sum menu, savor slowly cooked soups and wash everything down with delectable green tea. Would it be great to take a China vacation and witness all of its cultural and natural wonders, sample its cuisine and take in all of the natural beauty it has to offer? When it comes to planning a China vacation, the biggest problem is deciding where to go and what to see among a vast array of Chinese riches. 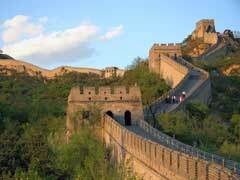 This article will present some of the most comprehensive China travel tips helping you plan your travel itinerary. Beijing is the capital of China and a uniquely ancient city packing iconic China attractions like the Great Wall of China tours, the Forbidden City devoted to an important era of Ming and Qing dynasties rulings and the Tiananmen Square, the biggest square in the world surrounded by wonderful museums and sites. Beijing Zoo and Botanical Gardens are highly popular among tourists. National Museum and Military Museum in the capital showcases an endless list of cultural and historical riches of the People Republic. No China vacation is complete without visiting a section of the Great Wall of China and climbing thousand steps if you dare. Approximate 1 hour train ride from the center of the city will take you to one of the most popular starting points, the Badaling section of the Great Wall. It’s one of the most crowded portions of any tours, and according to the best China travel tips offered by experienced travel guides, for those trying to escape the crowds Huanghuacheng is perhaps a better viewing option despite its remote location. Shanghai is a Chinese city of contracts where ultra modern skyscrapers meet ancient architecture and long time traditions. 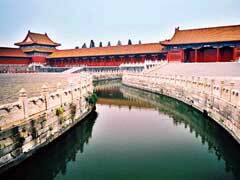 One of the most developed cities in China, it has always attracted rich and powerful. Here visitors have a wide multitude of attractions to see, ranging from 10th century temples to a Water Town village that dates 4 centuries back in time, to Yuyuan Gardens boasting classical style Chinese architecture. Shanghai Museum showcases amazing cultural heritage of Chinese people including incredible ancient bronze exhibit. Among a million of things you can do in this massive city, taking a river boat tour, sipping tea at one of many tea houses and visiting Jinshan Doglin Temple are highly recommended. 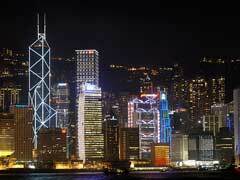 Hong Kong is an overwhelming city that will occupy your thoughts and feelings and never let go. Never-ending buzz of traffic, crowds of pedestrians, bright neon signage and pungent smells of roadside vendors are overwhelming to say the least. The city is so large that it will take you at least several months to visit some of its parts, however our China travel tips will help highlight some of the top attractions of the city. Visit the Victoria Peak Tower and see magnificent views of the Hong Kong Harbor from the bird’s eye view. There are more museums in the city based on your interests ranging from HK Museum of History to International Hobby and Toy Museum to HK Museum of Medical Science to mention just a few of them. To see the true beauty of HK, head to the countryside to visit some of the top natural wonder like Lantau island where you can see Chinese white dolphins, relax from the hustle and bustle of the city center and enjoy the beautiful surroundings. Here you can visit some of the best theme parks in the world like Disneyland, Ocean Park and many others. If you want to see HK on a budget, hop on the local tram and relax while interesting sights of the city are passing by you. Visit a variety of festivals, try an extensive dim sum menu, explore the beaches and learn to cook the Cantonese way, this is just a short list of things to do in HK. A short ferry ride from Hong Kong will land you in Macau, a spectacular city synonymous with a museum in the open air with 25 World heritage sites scattered on its territory. The Macau Peninsula is known for gambling industry and it’s sometimes called “Las Vegas of the East”, incredible views from the Tower and the Fisherman’s Wharf. Anywhere you look, you will find important historical buildings. The best way to explore the city is booking City Heritage Walking tour. If you want to witness the city that is several thousand years old, Xi’an is the place to be. Boasting some of the top landmarks in the country like the Terracotta Warriors that were discovered back in the 70s by a Chinese farmer digging a well, the place is brimming with cultural heritage. The city wall of Xi’an is the longest surviving city wall in the world that was constructed during Ming Dynasty ruling. 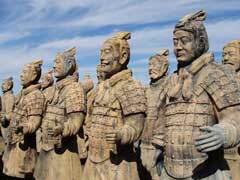 Shaanxi Historic Museum holds eye catching displays dating well into antiquity. To see the 8th Wonder of the World, take a short bus ride to the Qin Shi Huang Mausoleum and prepared to be amazed by 8000 Terracotta Warriors created with the sole purpose to accompany their Emperor to his final resting destination. Banpo Village ruins are also a must see site during your Chinese vacation that are believe to take almost 6000 years back in time. 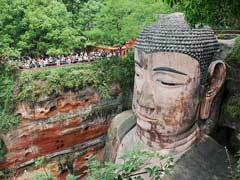 There are a lot more travel itineraries that our China travel tips articles contain. Explore Russian like Kharbin (Harbin), Yangtze Delta by Suzhou, agriculturally rich Chengdu, magnificent cityscapes in Guangzhou and Guilin at the banks of the beautiful Lijiang River.